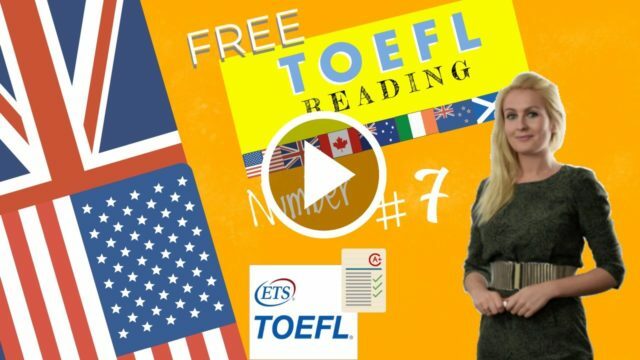 The toefl reading test contains Factual Information the questions are designed quto see if you recognize information that is explicitly stated in the text. These questions may include facts such as ideas, supporting details, and definitions. Negative factual information questions are the same, except that, instead of only one answer being true, three of the four answers can be true, and you have to determine the odd one out. Now do the TOEFL reading test below answering the questions at the bottom of the page. Archimedes with his lever desired a place to stand that he might move the world of matter. [William Lloyd] Garrison with his paper, having found a place for his feet, demonstrated speedily his ability to push from its solid base the world of mind. His plan was very simple, viz., to reveal slavery as it then existed in its naked enormity, to the conscience of the North, to be “as harsh as truth and as uncompromising as justice.” And so, week after week, he packed in the columns of the Liberator facts, the most damning facts, against slaveholders, their cruelty and tyranny. He painted the woes of the slaves as if he, too, had been a slave. For the first time the masters found a man who rebuked them as not before had they been rebuked. Others may have equivocated, but this man called things by their proper names, a spade, a spade, and sin, sin. Others may have contented themselves with denunciations of the sins and with excuses for the sinner, as a creature of circumstances, the victim of ancestral transgressions, but this man offered no excuses for the slave-holding sinner. Him and his sin he denounced in language, which the Eternal puts only into the mouths of His prophets. It was, as he had said, “On this subject I do not wish to think, or speak, or write, with moderation.” The strength and resources of his mother-tongue seemed to him wholly inadequate for his needs, to express the transcendent wickedness of slave-holding. All the harsh, the stern, the terrible and tremendous energies of the English speech he drew upon, and launched at slaveholders. Amid all of this excess of the enthusiast there was the method of a calculating mind. He aimed to kindle a conflagration because he had icebergs to melt. “The public shall not be imposed upon,” he replied to one of his critics, “and men and things shall be called by their right names. I retract nothing, I blot out nothing. My language is exactly such as suits me; it will displease many, I know; to displease them is my intention.” He was philosopher enough to see that he could reach the national conscience only by exciting the national anger. It was not popular rage, which he feared but popular apathy. If he could goad the people to anger on the subject of slavery he would soon be rid of their apathy. And so week after week he piled every sort of combustible material, which he was able to collect on board the Liberator and lighting it all, sent the fiery messenger blazing among the icebergs of the Union. Slaveholders were robbers, murderers, oppressors; they were guilty of all the sins of the decalogue, were in a word the chief of sinners. At the same moment that the reformer denied their right of property in the slave, he attacked their character also, held them up in their relation of masters to the reprobation of the nation and of mankind as monsters of injustice and inhumanity. The tone which he held toward them, steadily, without shadow of change, was the tone of a righteous man toward the workers of iniquity. The indifference, the apathy, the pro-slavery sympathy and prejudice of the free States rendered the people of the North hardly less culpable.